Bill Winsten is described by his peers as an “outstanding trial lawyer,” "phenomenally talented," and “effective, smart and innovative,” according to Chambers USA: America's Leading Lawyers for Business. 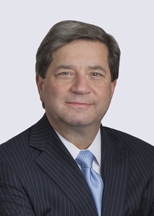 He successfully employs creative strategies to achieve (or exceed) his clients' goals through trial, motion practice, or settlement in a wide range of cases, including disputes involving the sale of businesses, shareholder disagreements, supply arrangements, lending relationships, real estate development, noncompetes, and constitutional matters. Bill has numerous trial victories and is often asked to teach trial skills to other lawyers. Bill is also frequently retained as a mediator to apply his broad experience, common sense, and tenacious approach to help other parties settle their disputes. Obtained international arbitration award for venture capital firm for an additional 1,124,791 shares in Swedish public company because it was shortchanged when its debt was converted to equity in connection with the merger of a Dutch company into that Swedish company. 2017 – "[Bill] regularly represents clients in disputes relating to business sales, loan agreements and shareholder matters. One client reports that 'he thinks very clearly and analytically and can really get right to the bottom line.'" 2016 – "[Bill] has been providing counsel in sophisticated commercial litigation matters for over three decades. He is famed for his advocacy skills at trial and often appears as a mediator in multiparty settlements." 2015 – "[Bill] is a trial attorney who also has experience in arbitrations. He has a fine track record for his counsel in high-value business disputes." 2014 – "[Bill] focuses his practice on class actions, securities and corporate governance litigation. He recently represented Cherryland Mall in commercial mortgage-backed securities loan litigation, and is described as 'effective, smart and innovative.'" 2013 – "[Bill] is described by his peers as 'phenomenally talented.' He litigates a broad range of issues, with a focus on contractual disputes and breach of fiduciary duty claims." 2012 – "[Bill] is considered an 'outstanding trial lawyer' who is 'always very well prepared, smart and hardworking.' He is known for handling a diverse range of cases relating to the automotive, banking and real estate sectors."